Our summer has been all about keeping things simple and so far our science projects have been just that. We set up the walking water experiment (shown above) so quickly...two glasses, food coloring in water, a strip of paper towel and a raised surface. It took about a week for the water to completely change glasses, so I was glad that we kept the experiment on the dining room table as it made for easy observation during meals. 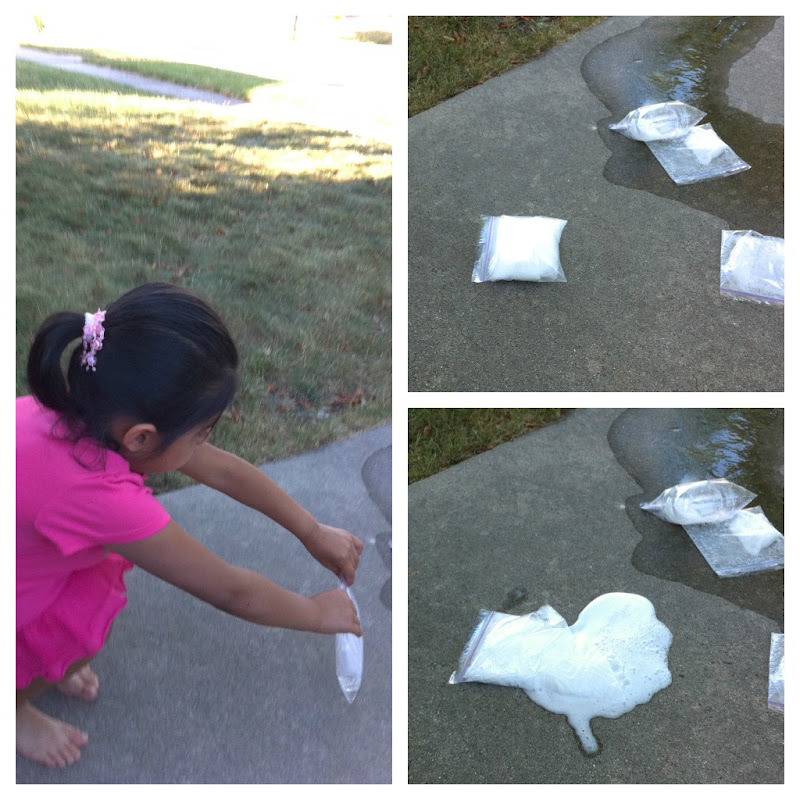 The other experiment I wanted to share is our fizzy exploding bags. Still an easy one, but it takes a little more prep time. Jack and I got the time-release packets ready while the girls were napping and then we blew up our Ziploc bags when Dad got home. They didn't give as much of an explosion as I had expected, but the kids loved setting them off. Make sure you do this one in a place you can hose afterwards as it left a nice white powder everywhere. The walking water was simple yet interesting. I didn't think it would drain the first glass dry but it sure did. I've done the exploding bags before but I liked the trick of the time release powder. Genius! Look at you with your cool split screen photos. Must share how you do this trick! Pinned you to try these with my girls. ...This makes me want to make a baking soda and vinegar volcano! 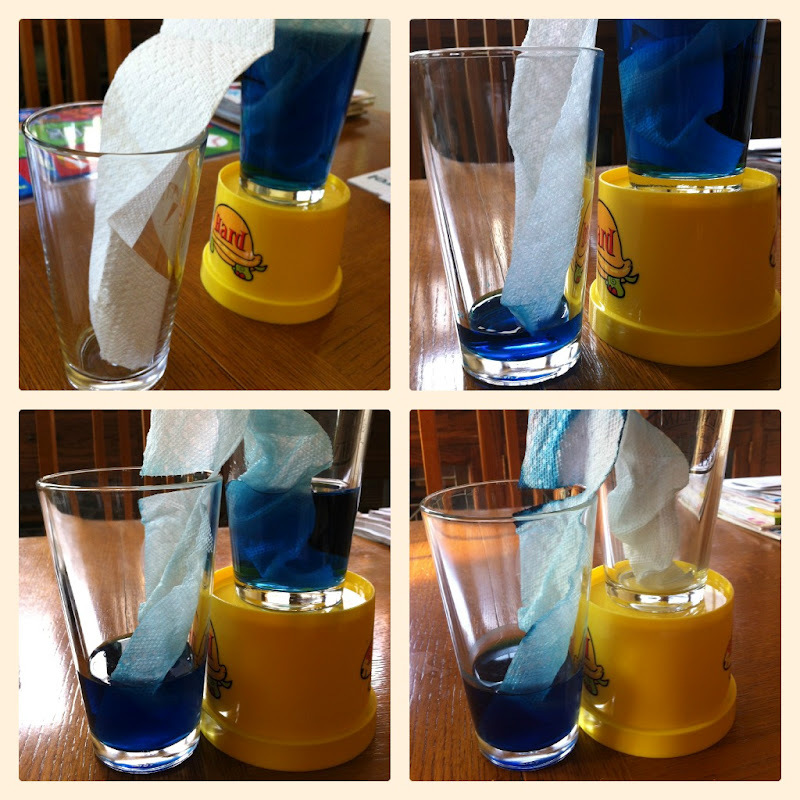 You are always doing the coolest experiments with the kids, neat ideas!! And Olivia in the post above is so sweet and cute ~ even the photo where she's so upset, poor thing!